Tea tree mulch is a byproduct of tea tree farming. The mulch is made in the process of extracting tea tree oil from the Melaleuca plant. Once the oil has been extracted, the residue is called tea tree mulch. What Is Tea Tree Mulch Used For? As with most other mulches, tea tree mulch can be used to lock moisture into the soil of the garden bed it is covering and reduce weed growth. This will facilitate the growth of a healthy garden as your plants won’t be competing with weeds for food and water. 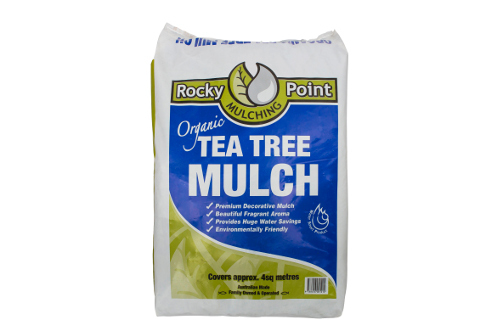 Tea tree mulch is slow to break down and has a pleasant aroma making it ideal for use in both residential and commercial landscaping projects. Tea tree mulch is also commonly used in ornamental and native gardens. 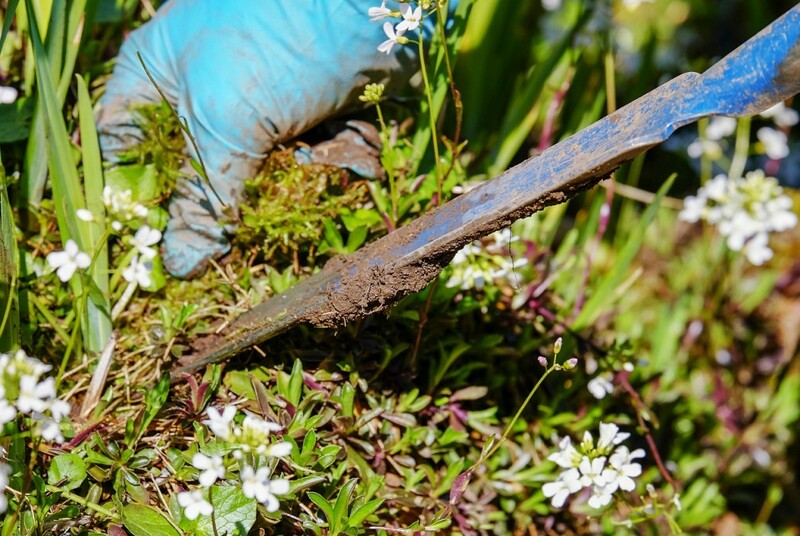 Before applying tea tree mulch you will need to remove any weeds from the area that you intend to mulch. Once the weeds have been removed, you can apply the mulch. If your intended use for the mulch is decorative, the mulch need only be applied to a depth of 50mm. However, if you choose to use tea tree mulch for its nurturing qualities as well as its desirable appearance and aroma, it is recommended to apply the mulch to a depth of 75 mm to 100mm. One of the main benefits of using tea tree mulch is to reduce weed growth. This is achieved as the mulch provides a layer of protection, preventing seeds from weeds that land on the mulch layer from reaching the soil and growing roots. Additionally, the growth of any weeds that are already in the soil below will be stunted, as they won’t be able to reach the sun that they need to grow through the protective layer of mulch. Although tea tree mulch prevents weed seeds from penetrating through to the soil, water can easily soak through the mulch to nurture the roots of the plants below. The mulch also retains water to provide more moisture to the plants for a longer period of time. Tea tree mulch is composed of organic matter that can enrich the soil below. Although tea tree mulch is relatively slow to break down, when it does finally break down, the plant nutrients contained in the mulch will enrich the soil of the garden bed as it decomposes. The enriched soil will then promote the quick growth of plants that are rooted within it. Tea tree mulch is a natural mulch that does not contain any weeds, seeds, or chemicals. It has a natural look and feel, and the pleasant aroma that is given off by the remaining tea tree oil creates a relaxing environment. Tea tree mulch is also a natural termite repellent, yet it is not harmful to helpful insects such as earthworms, allowing them to improve the soil structure of your garden. One consideration when using tea tree mulch is the smell. Although the mulch gives off a pleasant aroma, it is quite strong when the mulch is first laid. This should be taken into account before choosing to use tea tree mulch. Whether you need tea tree mulch, sugar cane mulch, red cypress mulch, or a range of other landscaping supplies, Wellers Hill Hardware has got you covered. Our locally owned and operated hardware store has been providing quality landscape and garden supplies to Brisbane southside for over 50 years. Call us today on 07 3848 1682 or visit us in-store.